Having an apartment in the loop offers renters spectacular architectural displays. Apartments for rent in the Loop in Chicago offer renters spectacular architectural displays. Renters of luxury apartments in the Loop have a lot to love about their neighborhood. 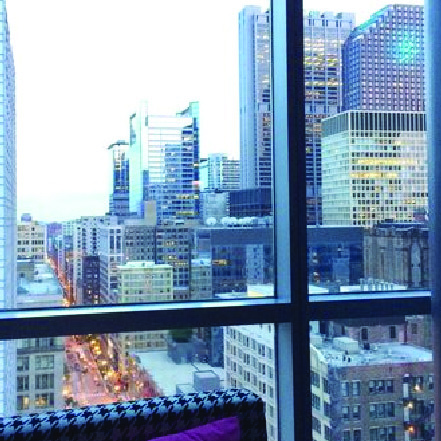 When you make your home in the apartments for rent in the Loop in Chicago, you get to enjoy everyday views of iconic skyscrapers - ranging from the former Sears Tower (aka Willis Tower) to the Tribune Tower. You have easy access to the best eateries on the Chicago River as well as the most famous beaches along Lake Michigan. What else is there to love about the Loop Chicago apartments? 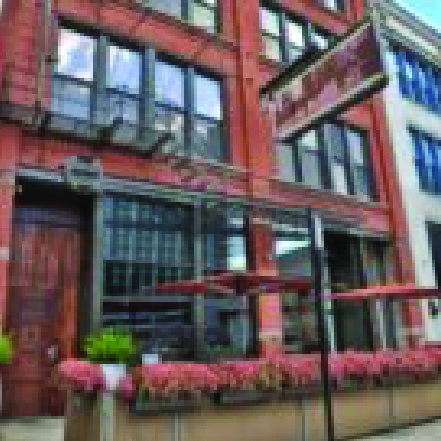 Living here, you'll be at the center of a celebrated theatre district, a long list of legendary dining, and an abundance of shopping on State Street. Wherever you need to go, commuting throughout the city is a snap! Are you ready to make the Loop your home? To learn more about the Loop Chicago apartments that are currently available, check out the information below. If you’re interested in a Chicago Loop luxury apartment rental, speak to a leasing specialist today! We are happy to help find your dream Loop Apartment. Apartment rents near the Loop can vary greatly. New luxury apartments near the Loop offer spectacular amenities. 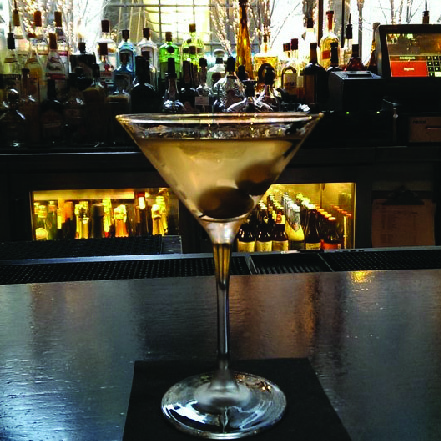 Get ready for a fast-paced, business-oriented, and exciting life amongst Chicago’s Loop. Between the Chicago residents and the visiting tourists, you can expect an energetic community in the Loop. With luxury highrises near the Loop popping up regularly, the energetic streets have become even more lively. Named after the Loop of the CTA trains, this neighborhood makes it easy to catch a Metra train or the Kennedy and Eisenhower expressways. The Loop is home to many tourist attractions: Buckingham Fountain, The Willis Tower, and Cloud Gate (nicknamed "The Bean") are just a few. Because it is located in the heart of downtown Chicago, the Loop makes transportation easy. All CTA trains offer service into the Loop. This makes commuting around downtown without a car a breeze. 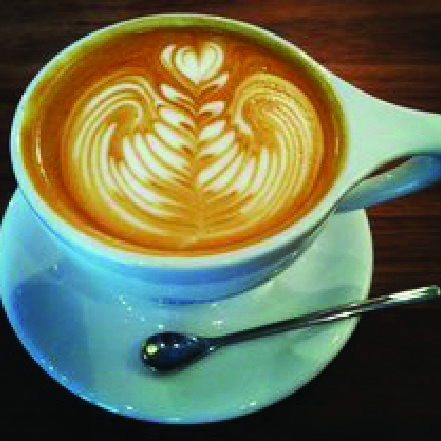 The Loop’s central location means almost everything is a walk, a bike ride, or quick ride away. In the Loop, some of the most important and best-known buildings are frequented by hundreds or even thousands of people each day, both tourists and residents. From its monumental skyscrapers to its innovative sculptures, the Loop prides itself on its rich and unique history. One of the largest fountains in the world, this Chicago landmark is located in the center of Grant Park in the Loop. Originally known as the Balaban and Katz Chicago Theatre, this Chicago Loop landmark is located on North State Street. This large urban park that features some of Chicago’s most notable and prized landmarks. 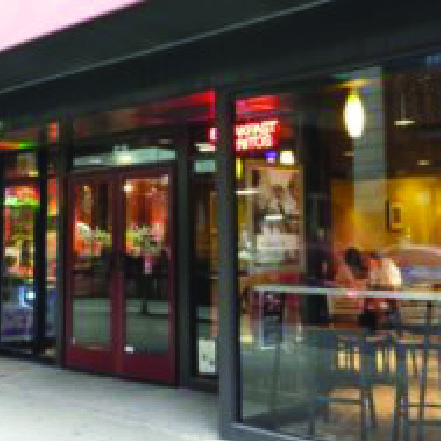 The Loop offers many restaurants, bars, and coffee shops so you can expect a spot to eat on almost every block of the loop. 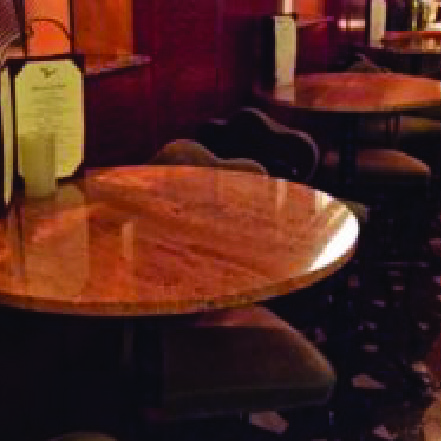 Whether you enjoy high-end, award-winning dining, or are just looking for a quick bite to eat, the Loop provides a variety of dining options to satisfy your needs. 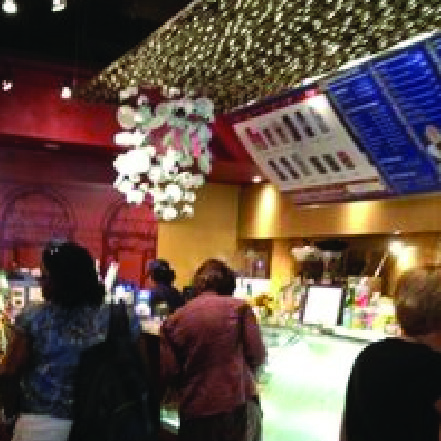 This scrumptious bakery/cafe offers from-scratch, French-style sweets and savories for dine-in or takeout near the Loop. Enjoy this festive Cuban cafe in the Loop that's known for its sandwiches, also serving coffee drinks, milkshakes, and other bites. This high-end coffee bar chain serves daily deliciously roasted brews in an industrial-chic setting. Visit this European-style cafe for breakfast items, sandwiches, and pananis in a high-end and bright space. 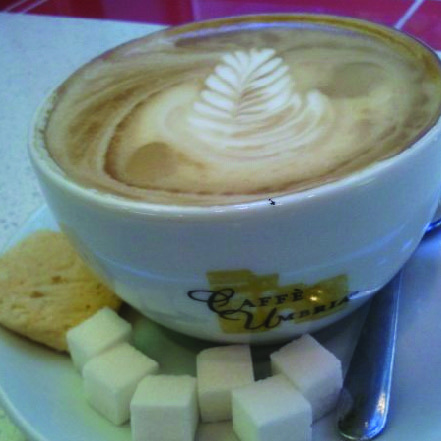 This bright and modern coffee shop near the Loop servies authentic Italian espresso drinks, sandwiches, and sweets. 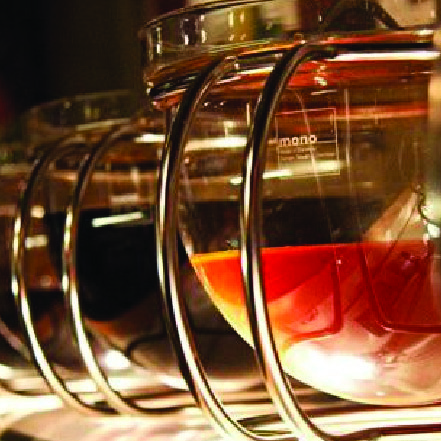 Come to this chic and contemporary cafe/shop near the Loop for loose-leaf teas and coffee, plus tea-infused sandwiches and pastries. Stop by Elephant & Castle if you like to eat, drink, and enjoy pub fare & brunch in an unpretentious setting in the heart of Chicago's Loop. 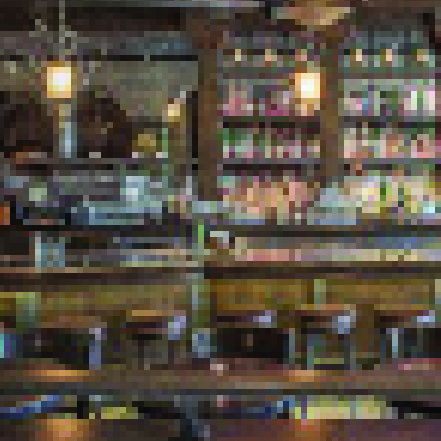 An inventive American style bar with a long list of beer, a lively space, and Millenium Park Views in the Loop. Standard Italian fare in a homey space, with a room decked out like a train car and sidewalk seating near the Chicago Loop. 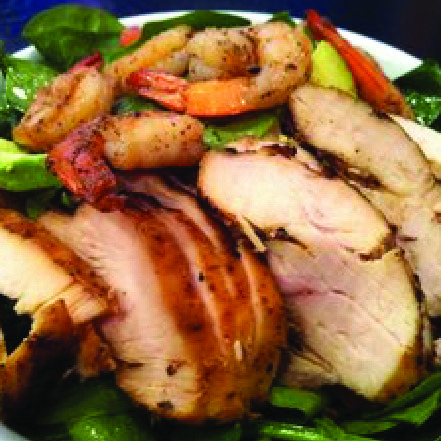 BBQ as a sandwich, salad, or platter, served with regional sauces and sides in a modern, counter-served digs. 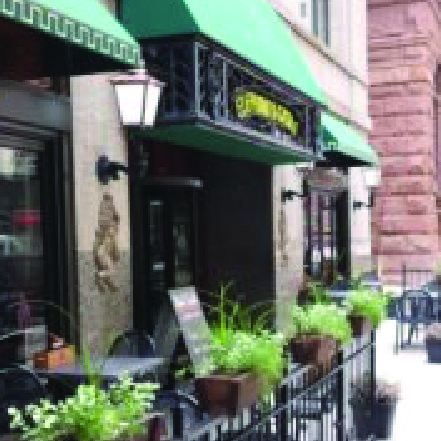 A favorite casual dining spot in the Loop! A classic Chicago steakhouse fare in a clubby two-level space with a high-end, warm, and romantic atmosphere centered in the Loop. 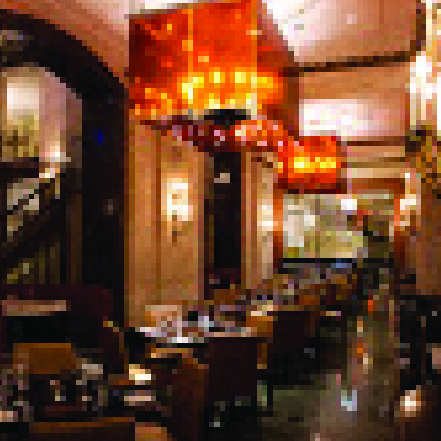 Upscale, imaginative New American dining amid elegant surrounds in the Palmer House Lobby in the Loop. 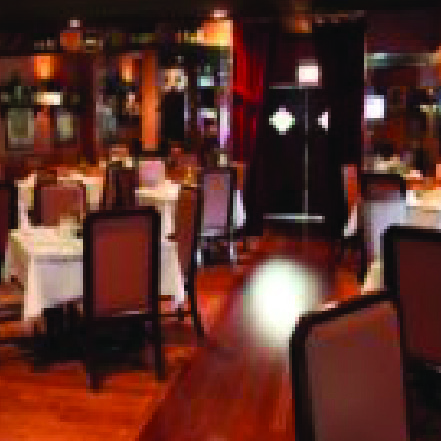 Modern velvet-trimmed dining room serving upscale Italian dishes matched to a huge wine collection. Seasonal, inventive, upscale American in a brick and wood interior evoking classic Chicago vibes in the heart of downtown Chicago. 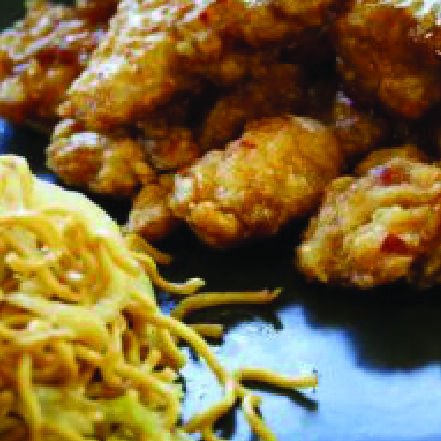 Fast-food chain for Chinese standards, including kids options. A good spot to grab a quick bite during a day of shopping near the Loop. 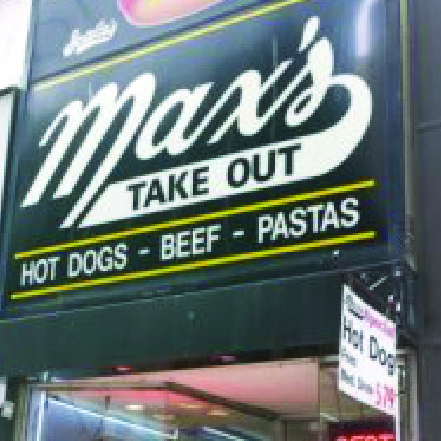 Tiny American take-out spot serving burgers, hot dogs, sausages, and more. Halal items are also available. 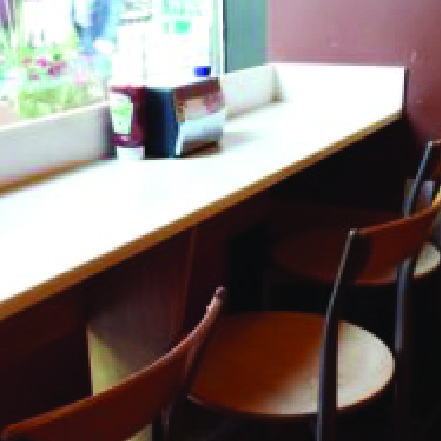 Part of a local Chicago Loop fast-service chain that uses natural and organic ingredients in its burgers and shakes. 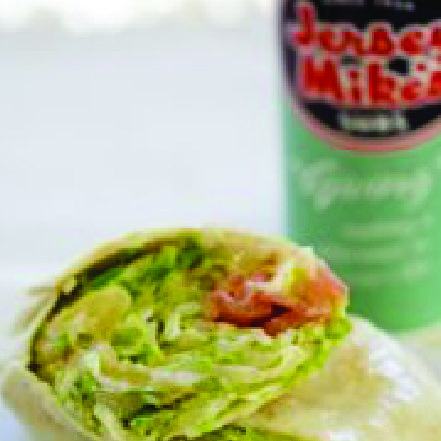 Mexican chain for counter-service, custom burritos, tacos, and more, including some health-conscious options. New Jersey-based counter-service sandwich chain serving jumbo subs filled with cold cuts and toppings. 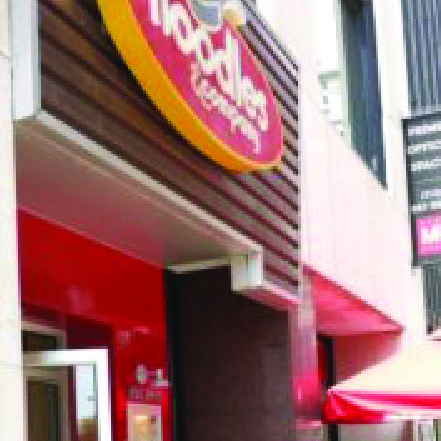 Counter-service chain offering international noodle and pasta dishes from Wisconsin mac ‘n’ cheese to pad Thai. The Loop is primarily a business district, but there are some solid leisure spots if you know where to look. Whether you're looking for a quick craft beer before heading home or a bit of jazz and karaoke, these are bars for blowing off some post-work steam near the Loop. 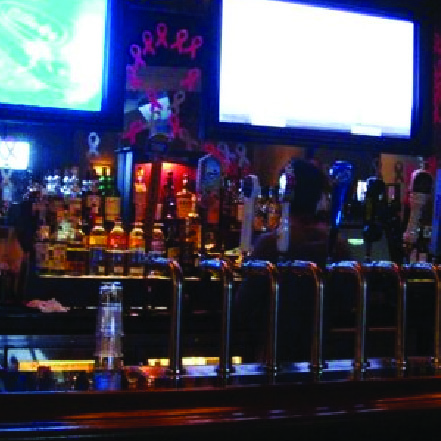 This watering hole with an easygoing vibe offers classic pub grub, craft beer and weekly improv shows near the Loop. A summer hotspot on the 27th floor of the Wit Hote, this spot showcases skyline views of Chicago's downtown Loop, an upscale feel and fine cocktails. 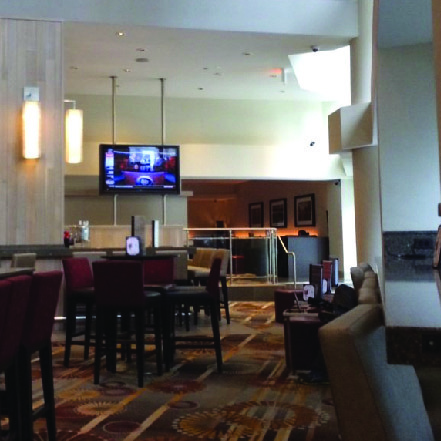 Come to this sleek, open space in the Swissotel lobby for seasonal snacks and light fare along with craft cocktails. At this intimate lounge/club, you'll find drinks, karaoke and dancing in a vintage space in a historic building. 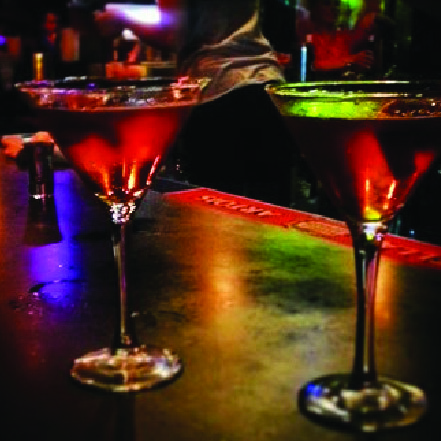 You'll love this bar and grill serving an eclectic menu among walnut tables, leather booths, and plasma-screen TVs. 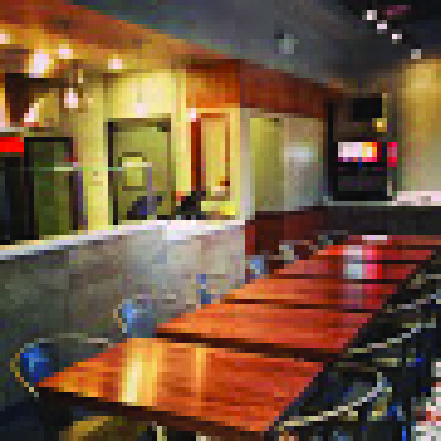 The lobby of the Mercantile Building houses this modern eatery serving contemporary American dishes in the Loop. The Loop has been a shopper's paradise for more than a century and is anchored by State Street, located in the heart of downtown. The Loop offers a wide variety of shopping experiences, from upscale boutiques to discount outlet malls, and everything in between. Designed to complement an urban renter's active lifestyles, the 42-story luxury high-rise apartment tower located at 73 East Lake Street-between Michigan and Wabash-at the North edge of The Loop, is a truly stunning addition to Downtown Chicago's residential offerings. It's a 332 unit all-rental building that features a mix of convertible, one- and two-bedroom luxury apt. residences; the towering glass structure will be seeking LEED Gold certification and boasts amenities including a 24-hour concierge service, a full-service gym, a rooftop terrace, a screening room and 178 reserved onsite parking spaces. Renters will be able to invite their friends or family to join them at 73 East Lake's Penthouse Sky Lounge and Sky Deck; an outdoor lounge area adorned with a fireplace, gas barbeque grills, a demonstration kitchen, flat screen televisions and private dining. Residents entertaining small groups will be able to take advantage of the downtown high-rise' 160 inch screen "home" theatre. Fitness minded renters will have an easier time keeping up with their demanding exercise routines in any one of the apartment building's three different gyms. 73 East Lake Street boasts a state-of-the-art "Fitness Gym" that features weights, cardiovascular equipment and strength training equipment. A "Fitness Plus Studio" that offers space for floor exercises and provides Fitness on Request software for fitness classes anytime. And a "Core Workout Gym" that features Life Fitness Synergy360 machines and a full equipped training center. Each apartment at 73 East Lake includes GE Energy Star stainless steel appliances, engineered hardwood flooring, 9 foot or 9.5 foot ceilings, full-sized washer and dryers, Venatino Quartz countertops, Kohler fixtures, double-bowl vanity sinks, pendant lights and so much more. Dog owners will even have the building's Pet Spa and the enclosed dog run on the eighth floor at their disposal. We look forward to you calling Downtown Chicago your home. If you're interested in renting a one- and two-bedroom apartment at 73 East Lake, just contact Downtown Apartment Company for a private viewing of this new luxury high-rise in downtown Chicago. Complete the form below and one of our agents will contact you shortly!